Price request for RM 011 Felipe Masse 10th AnniversaryRef. Felipe Massa has now achieved 40 podiums in his career by finishing third at the Austrian GP this week- end. "It’s an incredible moment for me, but the whole team is feeling this too. The team has a great history and we continue to build on that. It’s a special day." said Felipe Massa. After 8 Grand Prix this year, Felipe is now sixth in the World Driver’s Championship with a total of 62 points. Brazilian Formula 1 driver Felipe Massa is the first sporting figure to have joined the Richard Mille family. 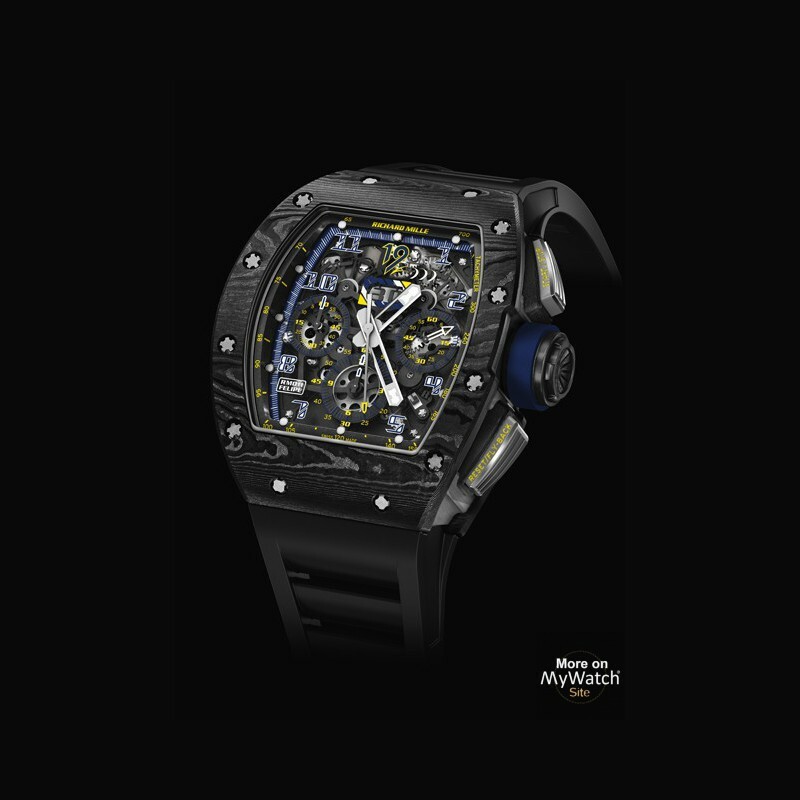 A long-time test driver for Richard Mille watches, it was he who enabled the brand to initiate and accomplish astonishing feats in watchmaking development. 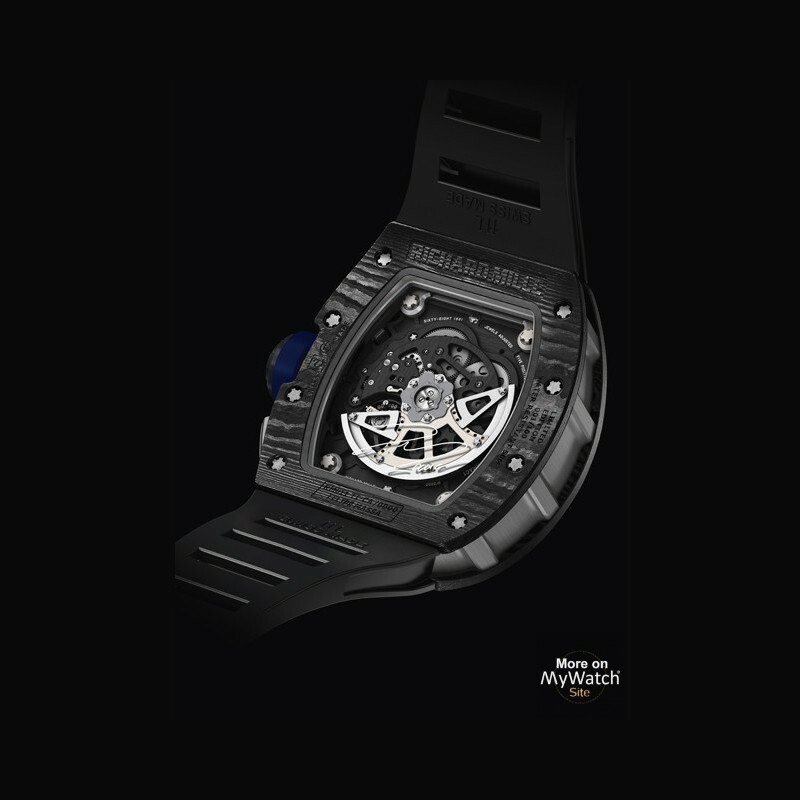 Such triumphs included the manufacture of a carbon nanofiber baseplate, first tested with the RM 006 FM then used in a number of other models, as well as the processing of new materials such the Alusic cases on the RM 009 FM. This collaboration, which became a deep friendship, is now approaching its 10th anniversary. To mark the occasion, Richard Mille has dedicated a special collection of RM 056 and RM 011 timepieces to Felipe Massa, appropriately named "10th Anniversary". Renowned by experts for its uncompromising technicality, at the very core of the RM 056 tourbillon caliber is a synthesis of the brand’s most exciting innovations. Comprised of more than 500 individual components, the grade 5 titanium RMCC1 caliber plays host to one of horology’s most exquisite complications: a split-seconds chronograph. This tourbillon movement also boasts indicators for the power reserve and torque, and a function selector. 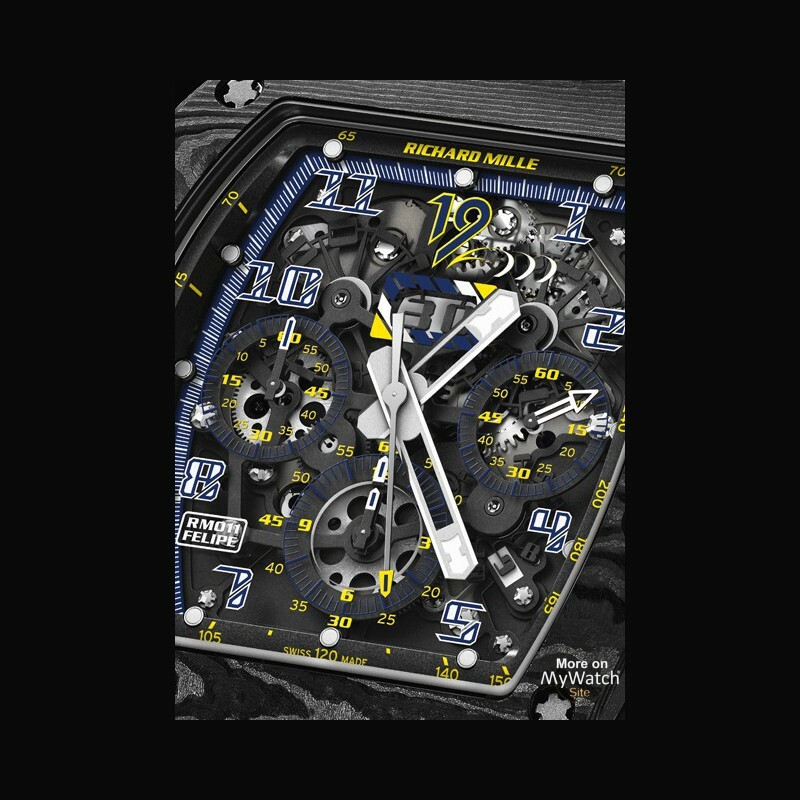 As meticulous in their craft as Felipe Massa in his own sphere, the engineers at Richard Mille have optimized the movement, fine-tuning its time-keeping precision and improving the operation of its split-seconds by reducing friction, and ensuring the long-term reliability of the caliber. 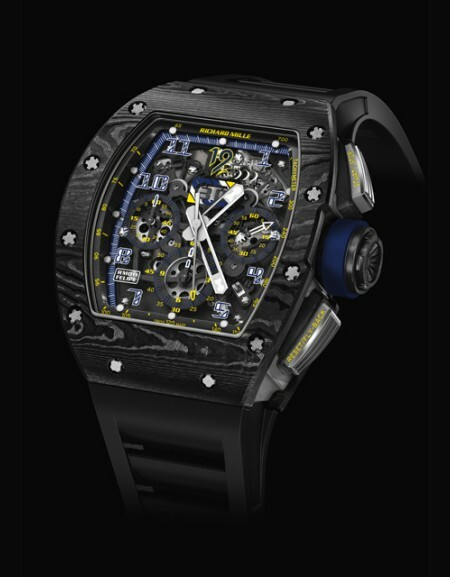 The RM 011, the second timepiece in the ‘10th Anniversary’ collection is an emblematic model by Richard Mille, named for Felipe Massa from its very conception. The so-called RMAC1, an automatic winding movement, heralds the brand’s first flyback chronograph. 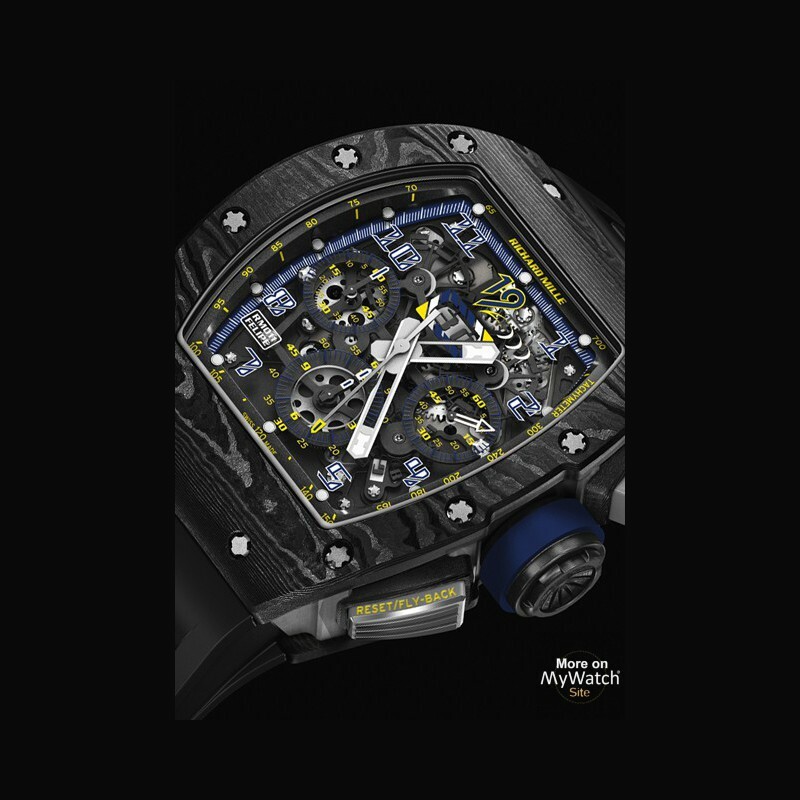 Crafted entirely in grade 5 titanium and hand finished, the caliber features an annual calendar, a 60-minute flyback chronograph and a countdown function, assembled for this anniversary edition inside an NTPT® Carbon case, a material unique to Richard Mille, offering remarkable resistance and a unique appearance. These examples of fine watchmaking court superlatives; they also mirror the exceptional achievements of Felipe himself, who, during his 13-year career, competed in 218 races, 16 of which in pole position, reaching the podium 40 times, including 11 as race winner and in total 1012 points (including his last podium at the Austrian GP in 2015). His career was led mainly at Ferrari and it is the second longest of the Scuderia. Felipe is also the 4th most successful driver ever of the Scuderia. Exclusivity defines this "10th Anniversary" collection. 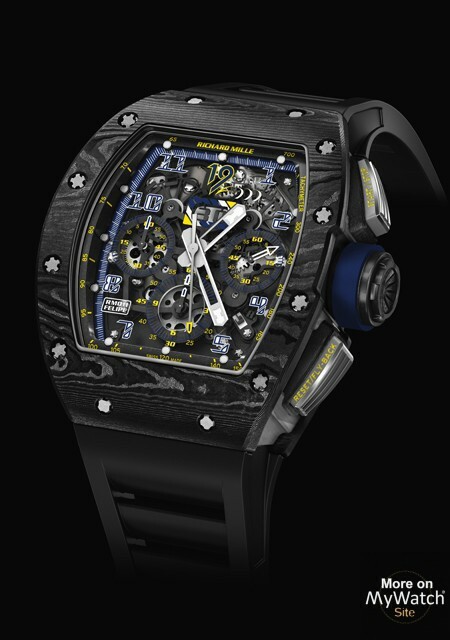 Just ten of the RM 056 will be produced, whilst the RM 011 will be issued in a limited edition of 100 pieces.